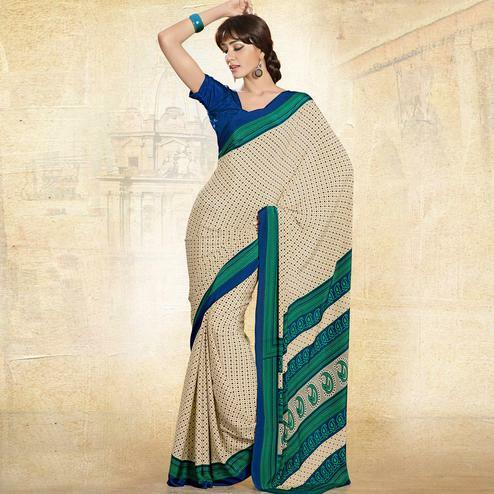 Add an ethnic touch to your looks with this multicolored bhagalpuri silk saree. 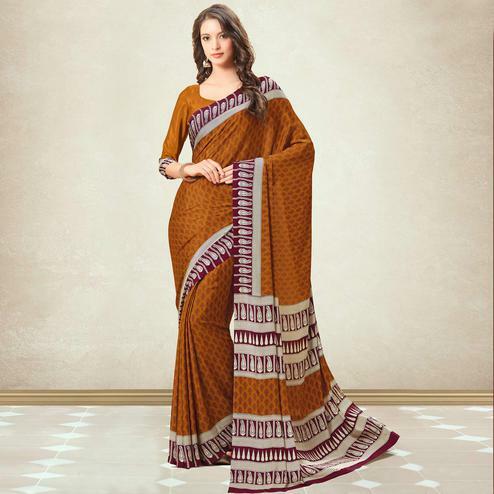 This saree is beautified attractive design print & solid red border. You can wear this saree ideally or casually. Saree comes along with blue blosue piece.